Blending sleek modernity with beloved classic features, Swanstone presents the QUSB-3322-077 as a highlight for your kitchen. This gorgeous sink has two bowls and a pre-drilled hole. It has a distinctive Nero finish that can blend into any fashion choice and resists the wear of time. Made of a near-indestructible material that is 80% actual quartz stone, this sink is designed to withstand daily rough and heavy usage. It is resistant to staining, scratches and temperatures up to 392 degrees F (200 degrees C). Due to its inherent materials, this sink is naturally sound-deadened. The Swanstone QUSB-3322-077 kitchen sink is ideal for remodeling or for new kitchen constructions due to its standard size. 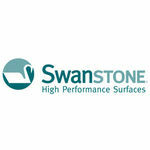 It’s installed as an undermount in most countertop materials, including granite, quartz, tile or other solid surfaces. This granite sink is 21” long, 32” wide and 9” deep overall. 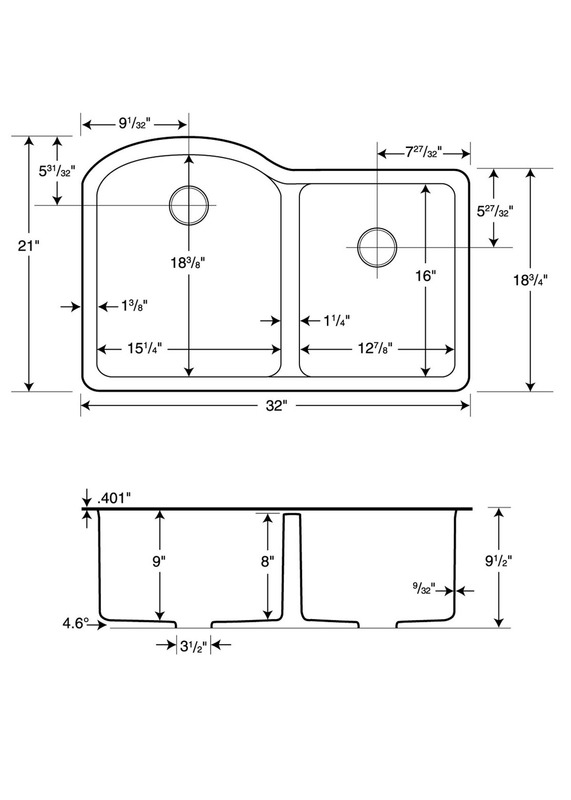 Its drain openings are 3-1/2” in size (please refer to the specification sheet). This is a sink that can endure the roughest daily situations, yet maintained in the simplest of ways. The Swanstone QUSB-3322-077 double bowl sink is covered by a Limited Lifetime Warranty for residential applications and a Limited 10-year Warranty for commercial applications. Shipping Dimensions 39.0" x 28.0" x 13.0"
Shipping Dimensional Weight 80.49 lbs.